No individual should attempt to conduct research using animals unless they have an appropriate licence and Animal Ethics Experimentation Approval. All licensees MUST ensure their licences are current, valid for the location, and include all the procedures that they wish to conduct in the species. Cage cards detailing the contents of the cage as well as AEEC number, investigator names and emergency contact details MUST be displayed on ALL cages. Post-operative (Yellow) cage cards detailing post-operative care MUST be used following surgical procedures; details of analgesia as indicated in the AEEC Approval MUST be displayed. You must seek advice from LASEC should you be unsure of the health condition or welfare of your animals. The licensee shall keep an up-to-date record of Form 6 (soft or hard copy - updated for the current day of experimentation) and submit Form 7 returns to the Department of Health by December 31st of each licensing year. The Government have the right to visit places of experimentation at anytime. Full details of CUHK's Animal Experimentation Regulations can be found here. Should you have any Animal Welfare Concerns, you may report in confidence here. All Personnel must follow CUHK safety regulations. Personal protective gown, gloves and mask, shoe covers and hairnet MUST be worn in the Animal Holding Core. Secondary spill-proof containers must be used for transportation of hazardous materials. A First Aid Kit is available near the main entrance of the Animal Holding Core. Spill Kits are available in Room 717 and 728. Use appropriate safety cabinets or biosafety cabinets for your experiment. 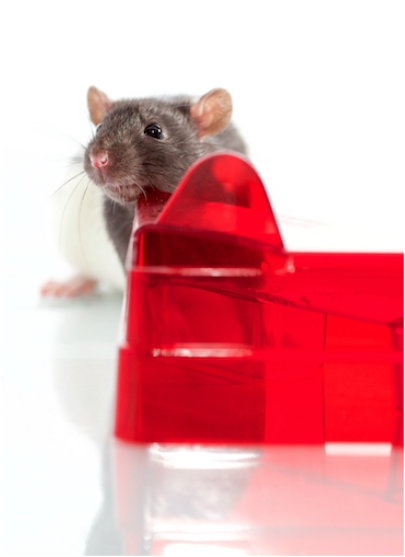 It is the investigator’s responsibility to ensure the safety of researchers, staff and research animals. Use of carcinogens MUST be approved and conducted in an appropriate area. Infectious agents MUST NOT be used in the Animal Holding Core. In case of an alarm sounding, there are two emergency exits available to permit evacuation. Any animal experiments should be terminated immediately under circumstances where there is a possibility that pain and/or suffering would occur if the animal were left unattended. A individual must have appropriate licensing from the Department of Heath prior to the conduct of research using animal, or prior to using animals for teaching purposes or to attain manual skill. The Animals (Control of Experiments) Ordinance (Cap. 340; the Ordinance) provides for the control of experiments on living vertebrate animals. Under the Ordinance, "animal" means a living vertebrate animal and "experiment" means any experiment performed on an animal and calculated to give pain to the animal. You MUST apply for a licence before conducting an experiment using animals by submitting an application form (Form 1 and an Annex) to the Director of Health. The application should also have endorsement from the School of Biomedical Sciences. AEEC oversees a set of basic principles and guidelines for conducting biomedical research involving animals. These basic principles and guidelines specifically require CUHK’s researchers to “act in accord with all requirements of the relevant legislation of the Government of the HKSAR, University by-laws and guiding principles and the HK Code of Practice: Care and Use of Animals for Experimental Purposes (Code of Practice )". AEEC strives to uphold the principles of the 3Rs, (ii) to replace the use of animals in scientific procedures with non-animal alternatives wherever possible; (ii) to reduce the number of animals used in experiments to a minimum and, (iii) in cases where animals do have to be used, to ensure that housing and procedures are refined to minimise the risk of any adverse impact on their welfare. AEEC has a Post Approval Monitoring (PAM) system to monitor project compliance. Visits can take place at anytime and do not need to be announced. Should you wish to bring in animals, cell lines or equipment, seek the advice of Animal Holding Core/LASEC staff. Arrangements can be made to health screen animals and clean equipment and caging. Protocols are in place to assist you in matters involving collaboration with outside partners.